I still cry about it. And again this morning. Walking outside to see the fog on the car window, I think of one of the little 6 year old boys that wrote, "I love you, Mom" in the frost of his mother's car window the morning of the shooting. 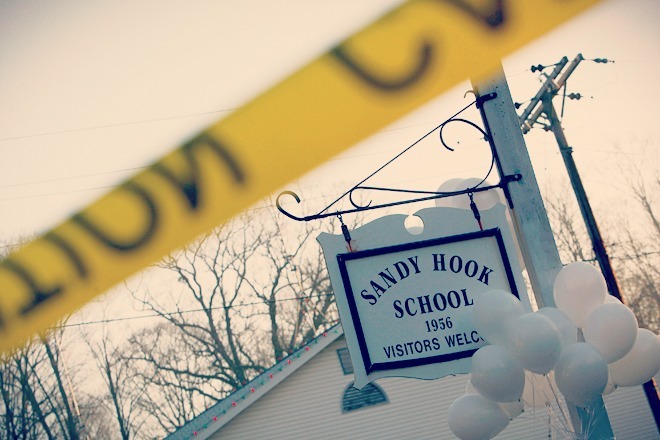 I think maybe the Sandy Hook tragedy made us – people, as a whole -- better. I know it made me better. Made my family better. As ironic that is to read, it’s equally as awkward to type. But somehow, it’s true. Ever since the tragedy, I have a different perspective. Maybe more patience. I’m more engaged, no doubt. More appreciative for the three unique children I am raising. I’m more grateful, for sure. I’m a little less irritable about the unmade beds when I walk past their rooms. A little more willing to cut off their crust. And 100 times more attentive when they have something “important” to say. As we’re teaching our 18 month old to say “I love you,” I can’t help but think of the Sandy Hook parents who wish to hear those words. Today, I’m thinking on them, the parents who have to figure out how to live without those they lived for. Where do they begin? How has the tragedy changed the way you parent? Love as always! Eye opening!